The second EP from death metal band Gravered out of Chile – Santiago was released in December 2018 titled Non. Five tracks with a total duration of 24 minutes, and where a splendid cover from Autopsy (“Ridden With Disease”) is listed, is what they offer the listeners. Hopping between fast parts and midtempo aggressive ones, added with the harsh and deep grunts that are a blessing for this kind of music, you’ll find this a very great disc, especially when you can appreciate the little melody they inserted in some tracks – for example ‘Non Cristo’. 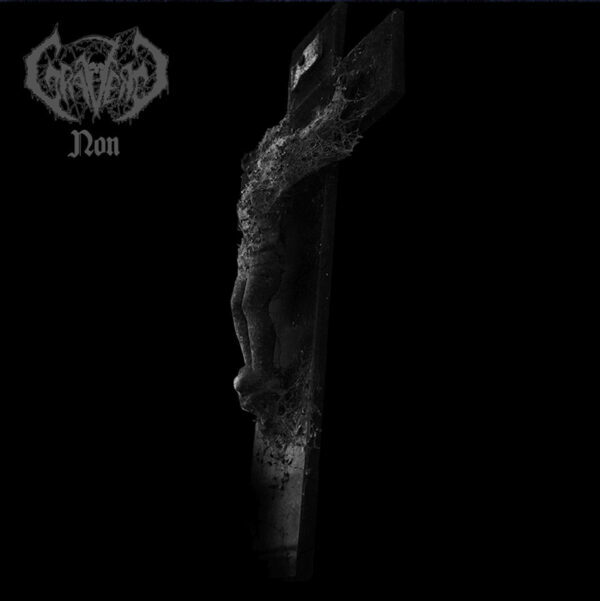 Okay, their Swedish Death Metal isn’t renewing, and nothing really fresh is added to this type of metal here, but overall seen the song structure and the outcome sounds very good. This EP starts off with some church anthem where you can image those stupid people bent on their knees to get a glimpse and imagined touch from the scrotum of their ‘God’. But then the crypts from hell open upon them and they get dragged into this primitive and barbaric sound to rot away into the unknown.